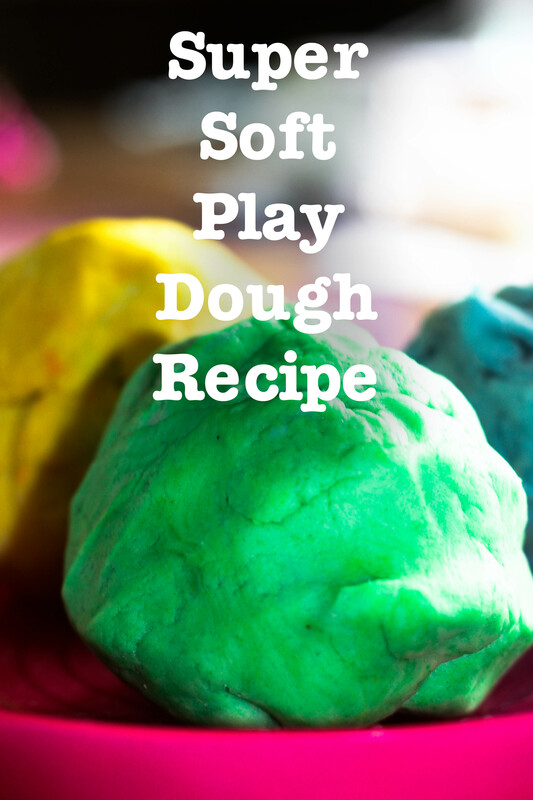 If there is anything that my 4 years loves, it’s play dough. Which I don’t mind at all, she gets to be creative, we have numbers and letter cut outs to learn with, best of all, her preschool teacher recommends it as a way to help them learn to write. She told me the pinching of the play dough strengthens her muscles in her hands helping her gain more strength to hold a pencil. The problem is it doesn’t last very long. We loose pieces on the floor, or accidentally leaves it out over night. The good news, it’s cheap and easy to make. I was the play dough helper as her 3/4 year old preschool class and got really good at deciding what recipes worked and what did not. If you don’t have an excited helper like this one, you can use your kitchen aid mixer with a dough hook, and make your life easy you be done in five minutes, seriously! add coloring, we separated ours to make 3 different colors, but if you are making one you can add you dye to the water before mixing. Thank you for sharing. Sounds simple will try it.